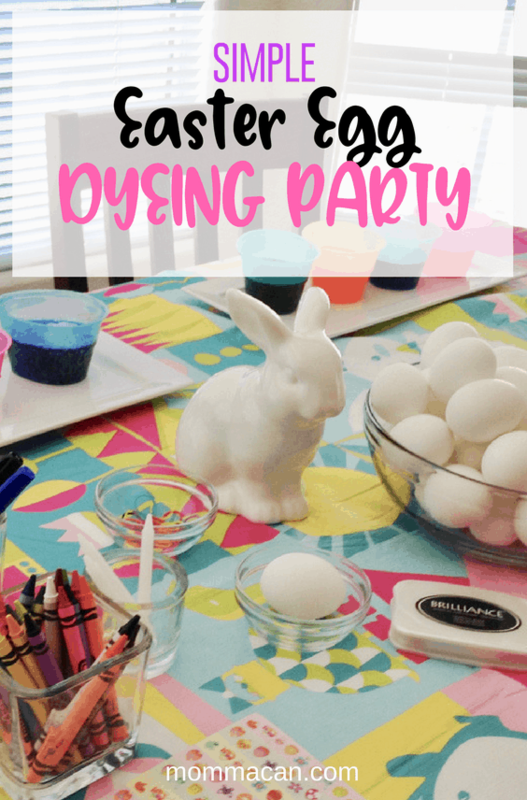 Dyeing eggs is a fun Easter tradition that can completely get out of hand if you decided to make every single kind of egg in the world you have pinned on Pinterest. As much as I love looking at all the pretty photos it can be quite overwhelming. 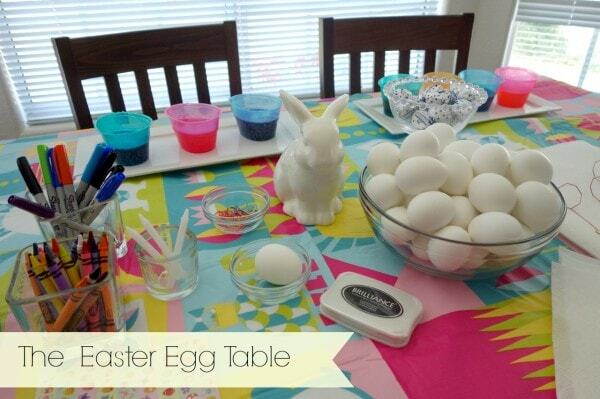 I kept it simple for our family Easter Egg Dyeing Party. 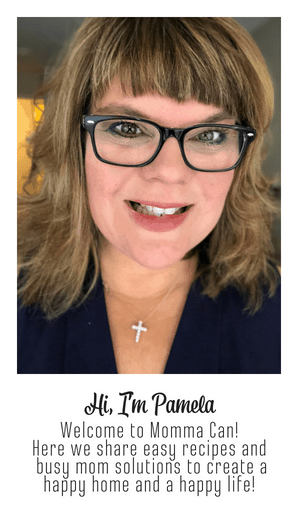 I used things we had at home plus the traditional PAAS Friends Egg Decorating Kit, because I just love the convenience of the pretty colorful cups in the PAAS Color Cups kit. Yes, I would love for Paz to come up with a natural dye kit and I really think they will eventually. I am however testing out the natural kits for next year and will let you know how they turn out as time permits. I pre-cooked 3 dozen eggs, drained, dried and cooled them for easy handling. I divided up the table into small workstations and added wax crayons, rubber bands, a stamp pad and fine point Sharpie brand markers for creativity. I did not micro-manage the dying of the eggs and embraced the unique color combinations created by my family. 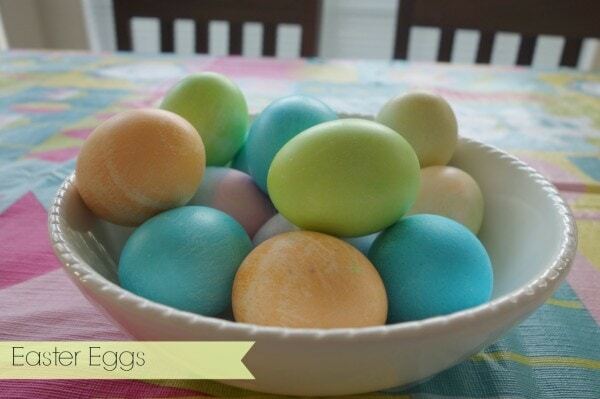 My favorite eggs are the blue and my sweetheart of a husband made sure there were plenty of sky blue eggs for the bowl. 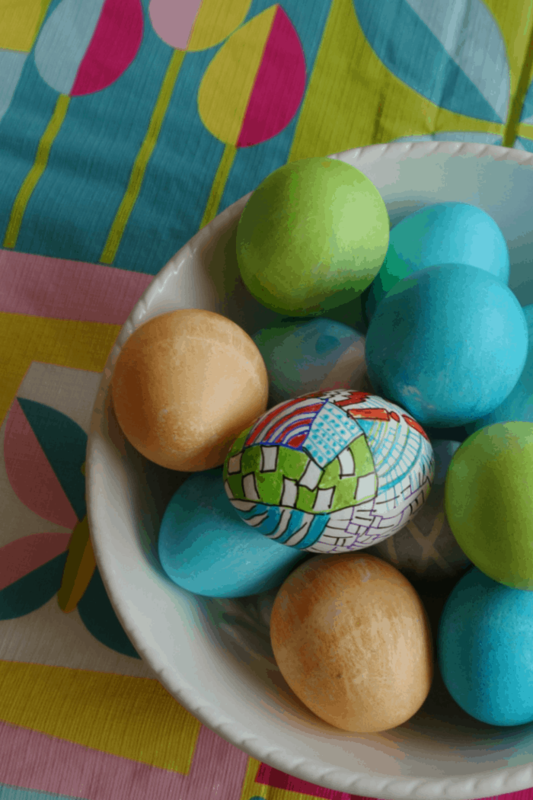 You can also see my attempt at modern egg art by taking a peek at the Sharpie Marker Egg above. 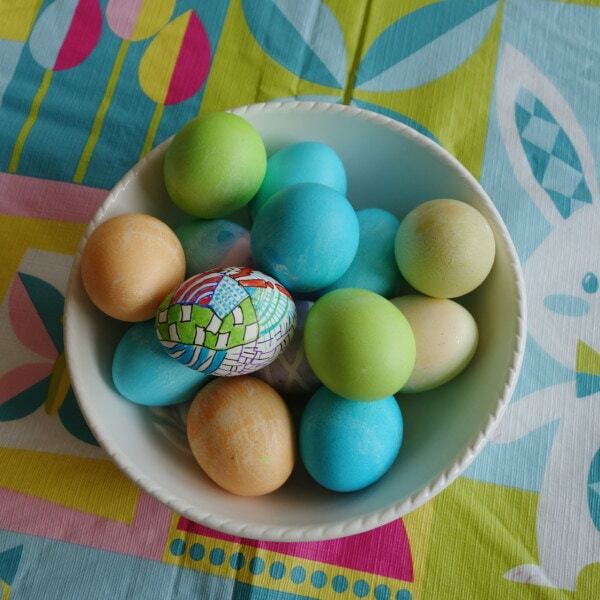 Overall, our Simple Family Egg Dyeing Party was a success and I look forward to many more to come next year! 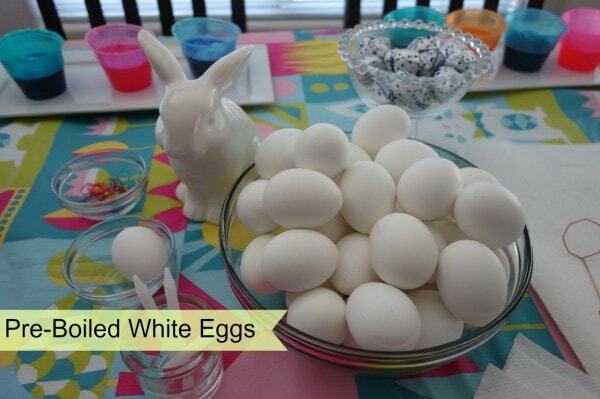 Need tips on boiling the perfect Easter egg? Try this! Ooh fun! Can’t wait to do this with my little one. Well, maybe not this year since he can’t even sit up yet that well heh. We have so much fun that day.